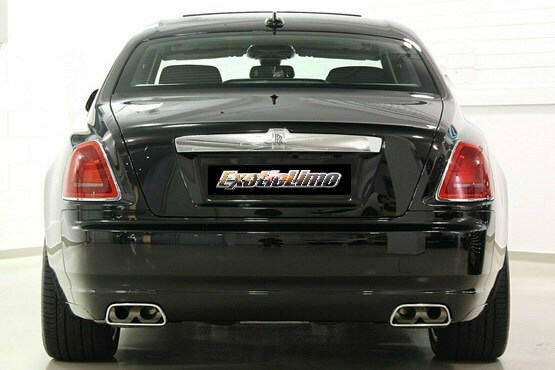 Exotic Limo proudly present to the wider Melbourne populace our brand new 2016 model Rolls Royce Ghost luxury sedan. Audacious in its opulence, and unrivaled in class, this decked out vehicle pampers its passengers to levels previously unseen in the world of luxury cars. 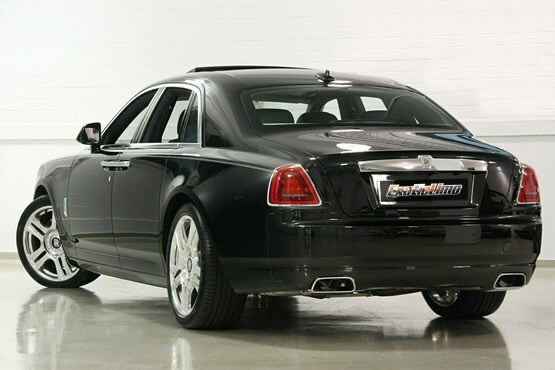 This particular Black Ghost by Rolls Royce is the only one of its kind in Australia available for hire. With the combination of both classic and modern styling gloriously evident in the presentation of this fine motor vehicle, the best of Rolls Royce – the past, the present, and the future – is represented exquisitely. 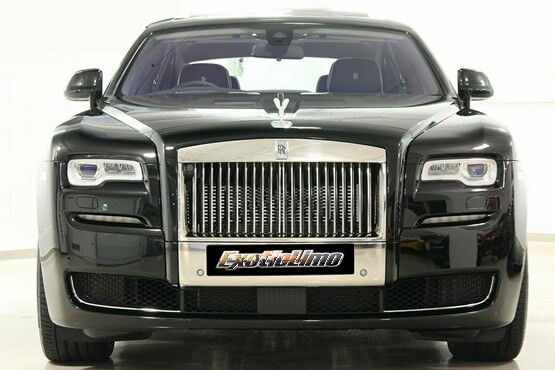 The Ghost presents a compelling, luxurious package of features and capabilities, well suited to its target audience. This regal machine is as graceful as it is elegant, and you could say we have catered to indulge the desires of those with high-society notions in mind. Our chauffeur-driven Rolls Ghost is ideal for weddings, business travel and airport transfers, ensuring you arrive on time, feeling cool, but looking hot… (See the beautiful images below). With its unparalleled levels of quality, elegant style and convenience, the 2016 model Rolls Royce Ghost is not simply just a car, it’s actually a work of automotive art. 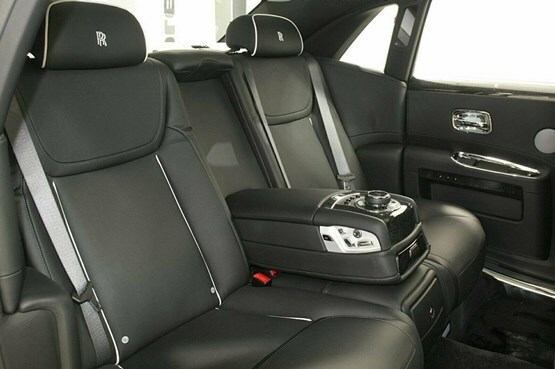 With its comfortable seating, luxury leather trim, real wood interior and cutting edge technology, you are promised a special occasion to treasure forever. Its space-age suspension technologies offer an incredibly smooth ride, and the luxurious carpet floor gives passengers plenty of space ensuring a ride in comfort and style. 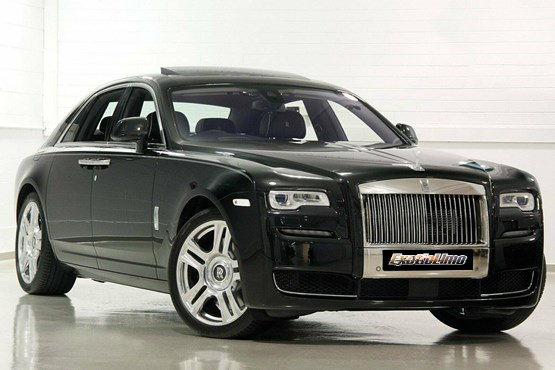 The Black Rolls Royce Ghost will turn all the right heads in the process and is in fact the FIRST and ONLY one of it’s kind in Australia – now how about that for standing out from the crowd!? It is highly recommended by Exotic Limo Melbourne that you make your booking well in advance in order to secure our Rolls Royce Ghost sedan for your wedding due to the high level of demand for its services. We have bookings placed for the Ghost up to 2 years in advance on numerous dates and we receive many genuine enquiries per week regarding booking date availability. Amazing service! Becca from Bookings Team is so helpful and nice to talk to. The Roller was immaculately presented and even more impressive in real life than the photos. The Chauffeur was very professional (Suit and Top Hat!!) and made sure we had a great day! Will most definitely use Exotic limo again and recommend to everyone. Thank you guys.